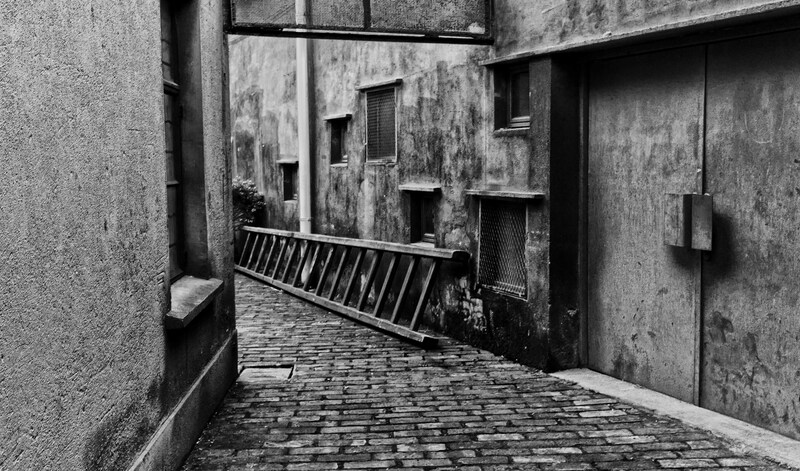 Image taken in the Moganshan Lu Art District of Shanghai China, I just loved the lines, the contrast and the textures in this alleyway, it was just asking for a Black and White shot..Hope you like it too ? Great shot and superb composition Mark. Love the way you’ve chosen black and white to make the textures (specially the wall on the left) and shapes pop out like that which wouldn’t happen with the distractions of color. You’re right! Black and white is the only medium for this picture… wonderful!